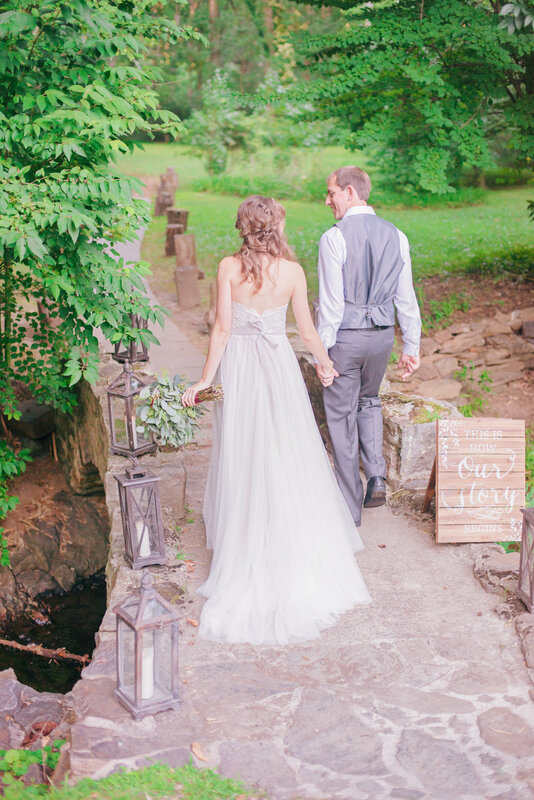 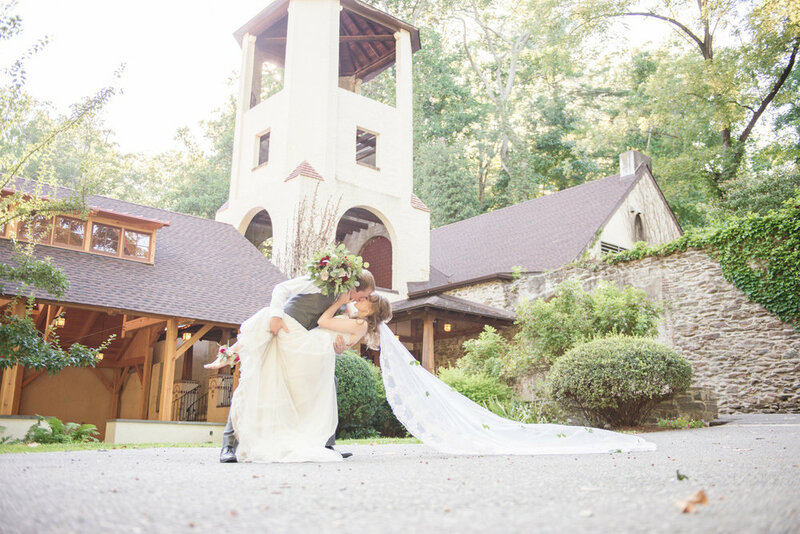 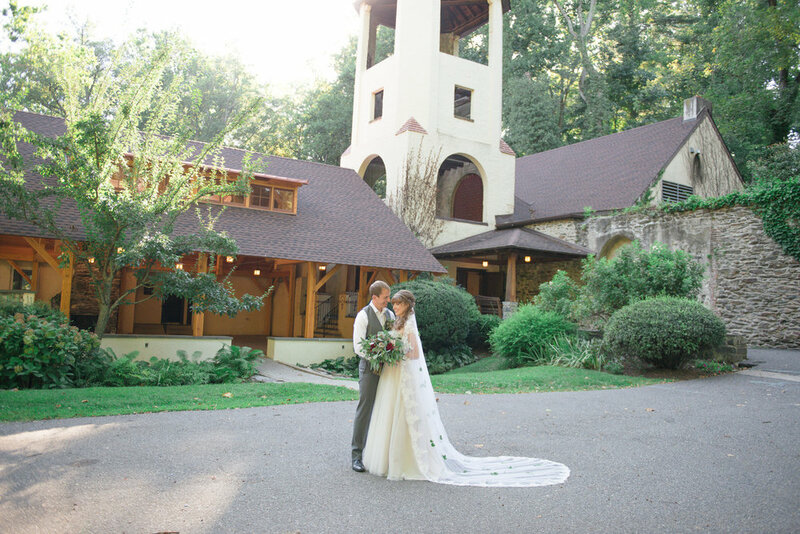 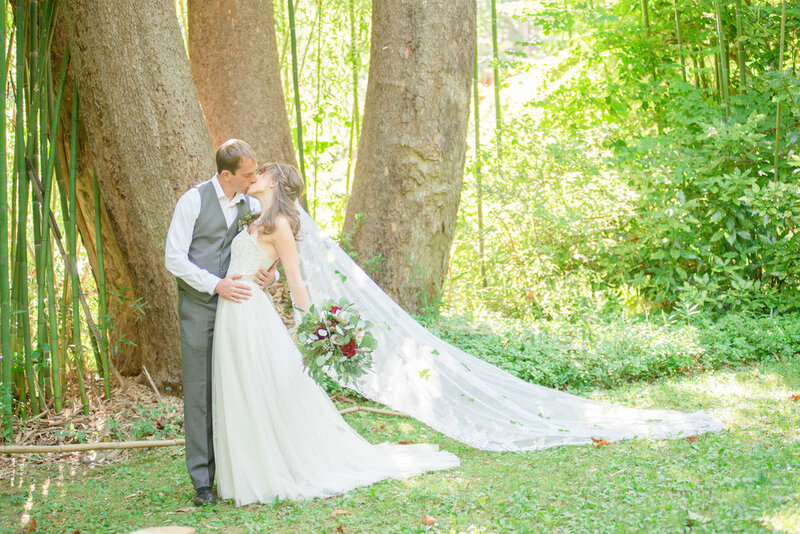 The Old Mill of Rose Valley made the perfect backdrop for a "Celtic-Inspired" woodland wedding styled shoot by Delaney Dobson Photography. 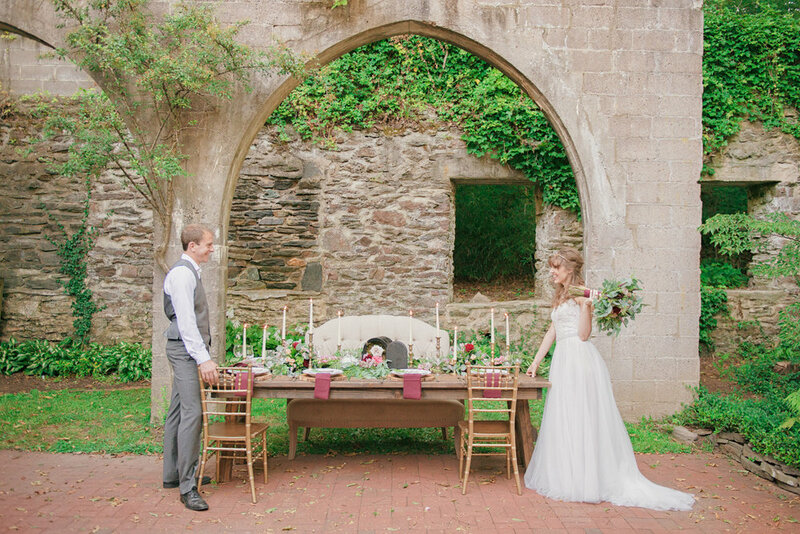 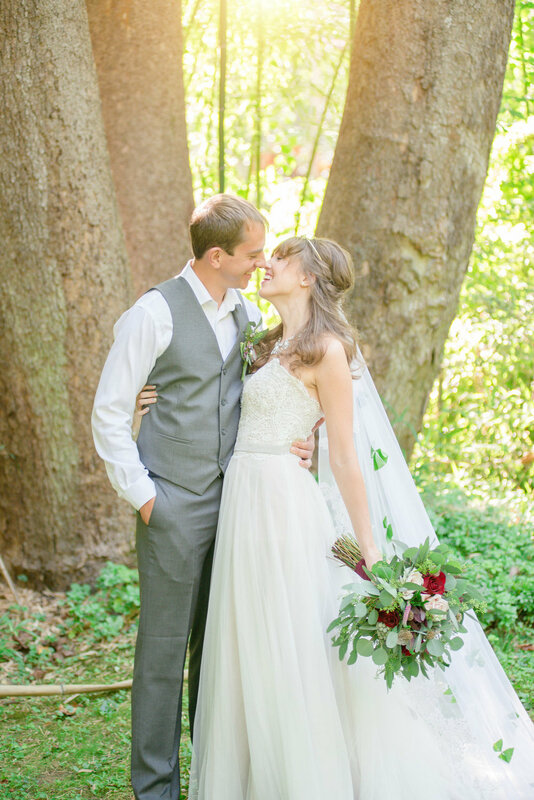 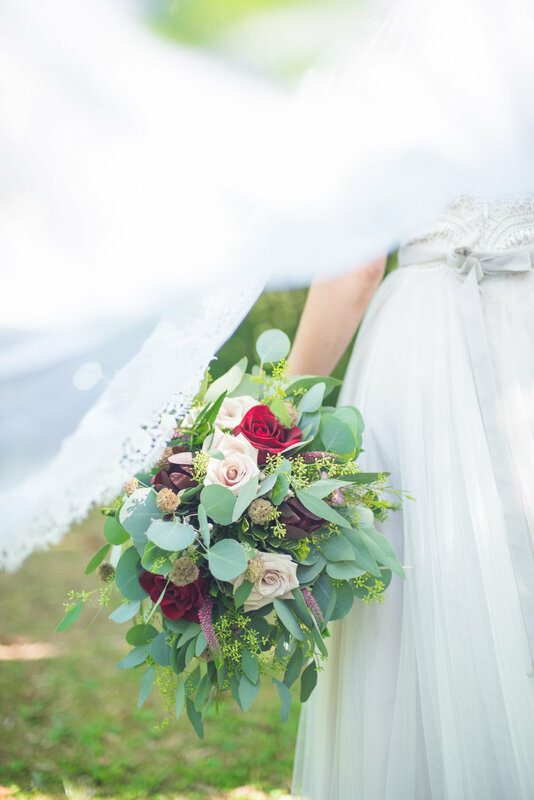 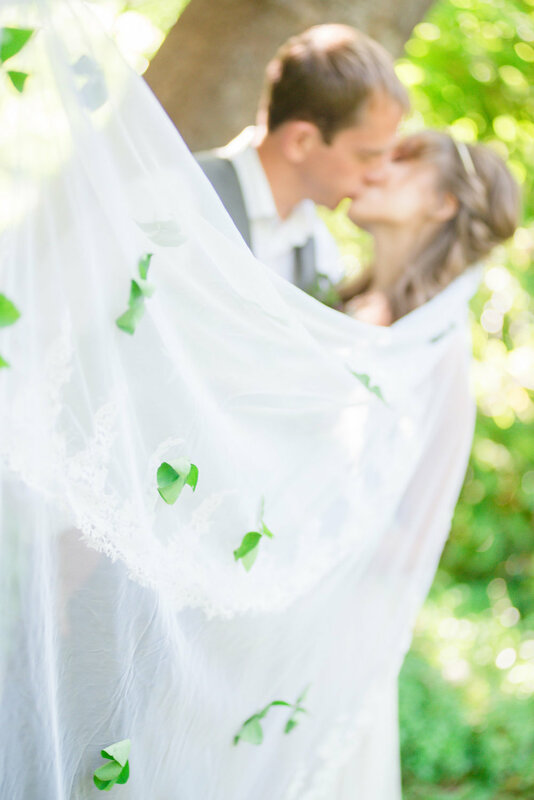 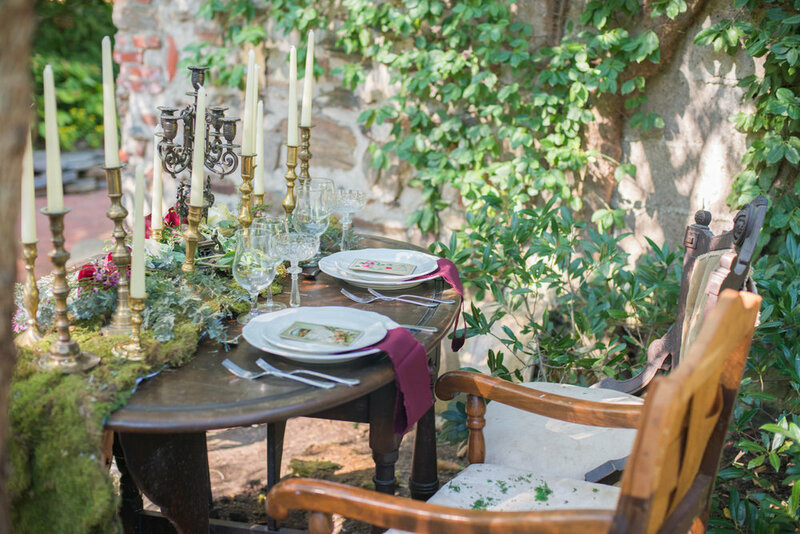 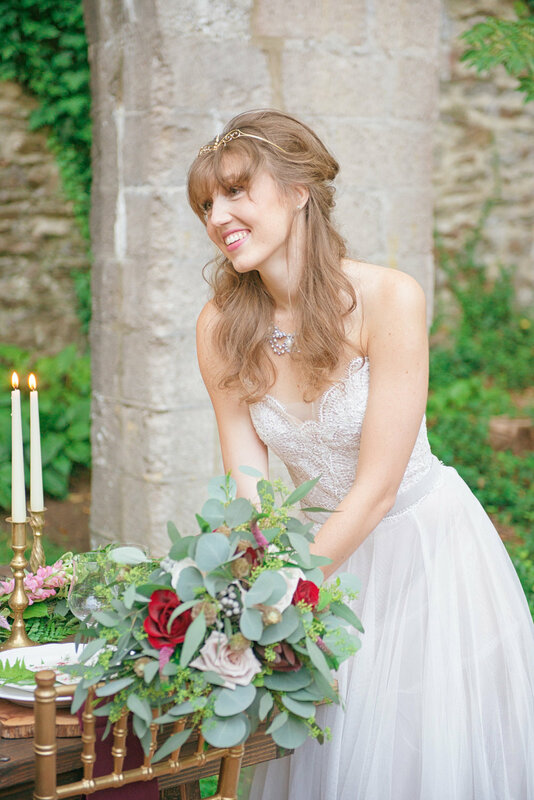 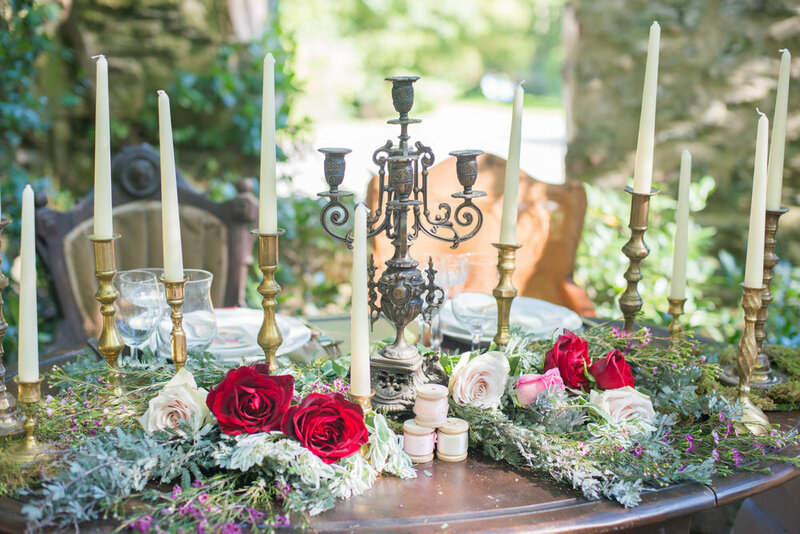 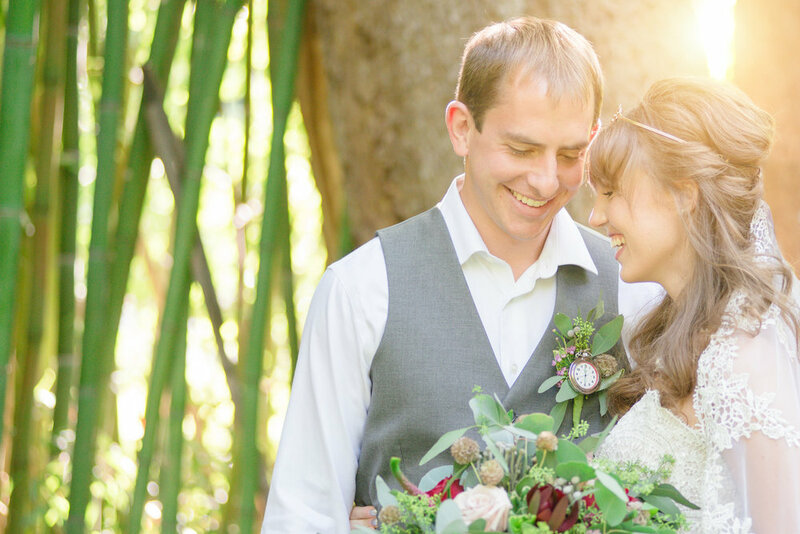 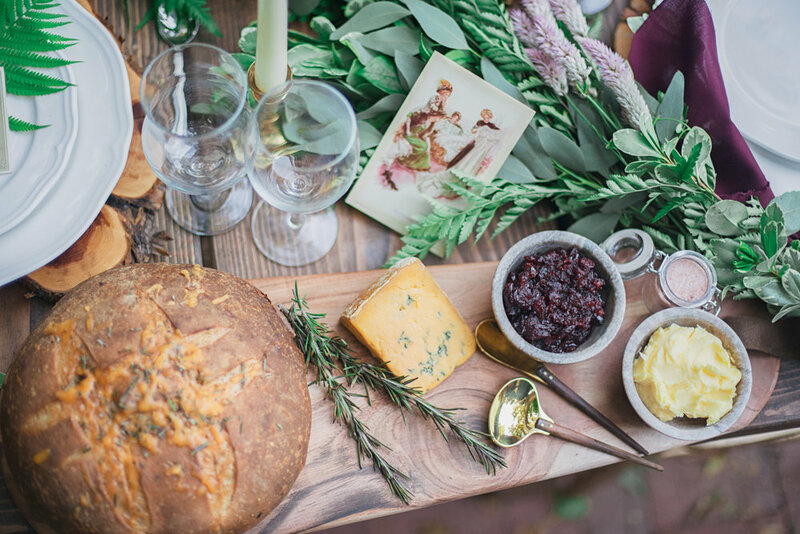 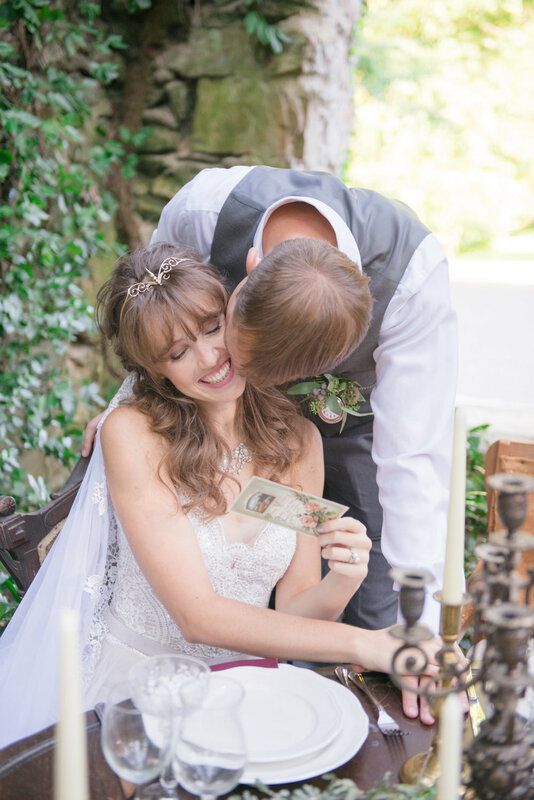 This shoot is filled with beautiful ideas that will make any wedding junkie swoon. 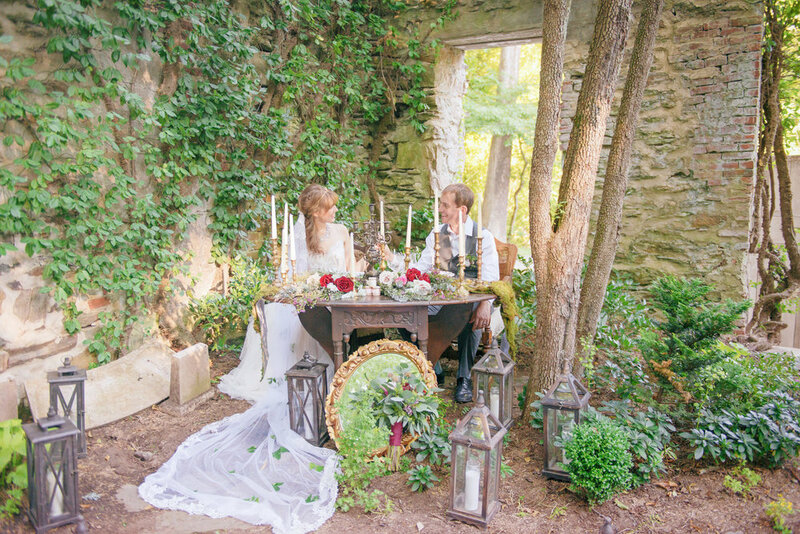 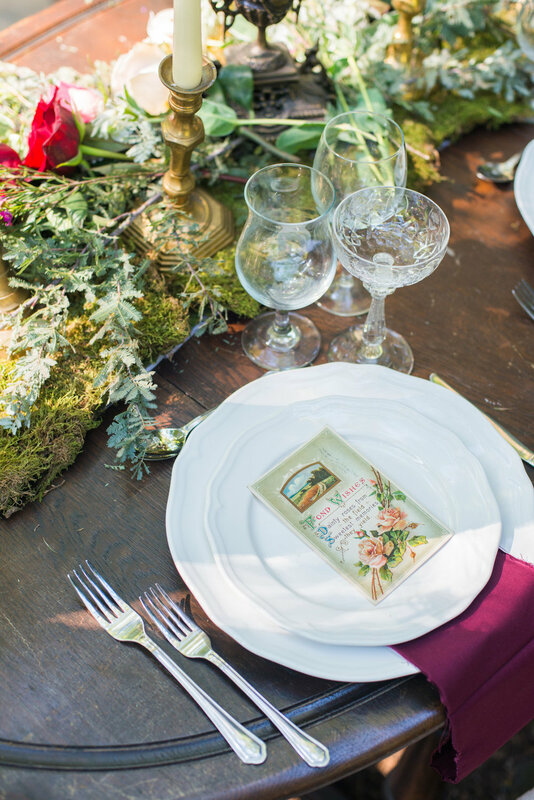 In addition to unique details such as a boutonniere made of a pocket watch, a cathedral veil with real shamrocks sewn into it, a “foggy” drink platter, and a slew of beautiful vintage postcards as name cards, the tablescapes and cake display will have any viewer’s heart skipping a beat. 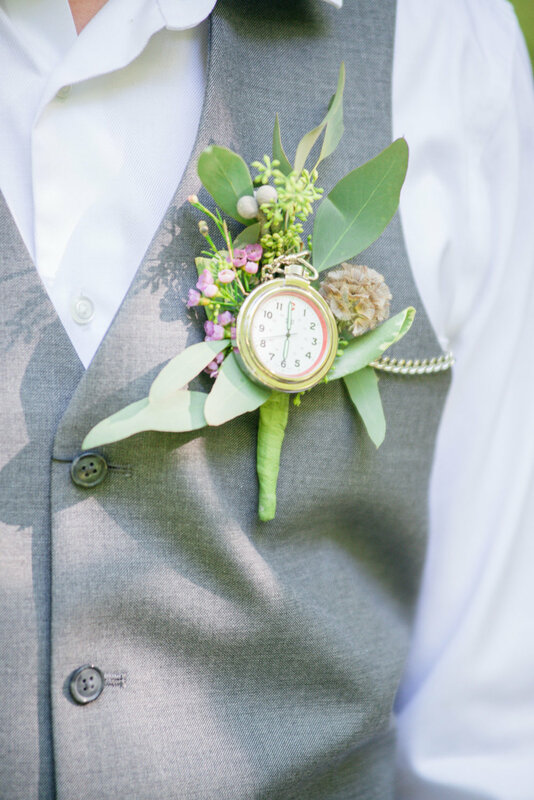 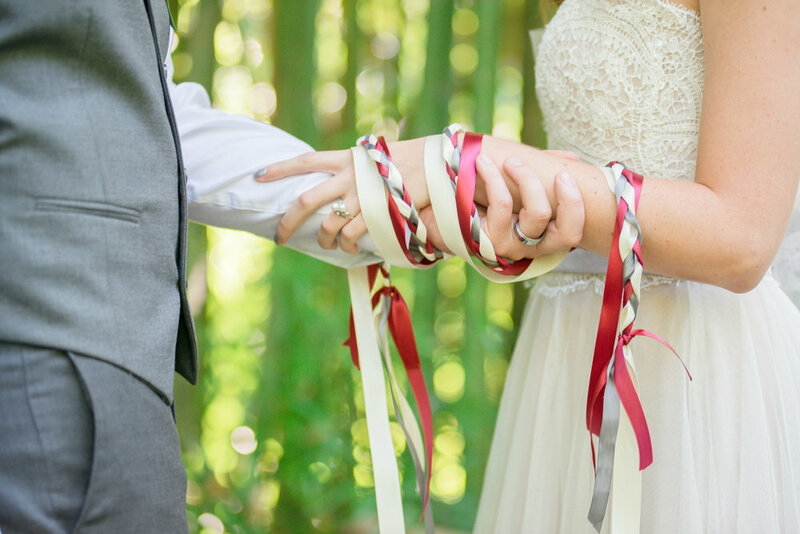 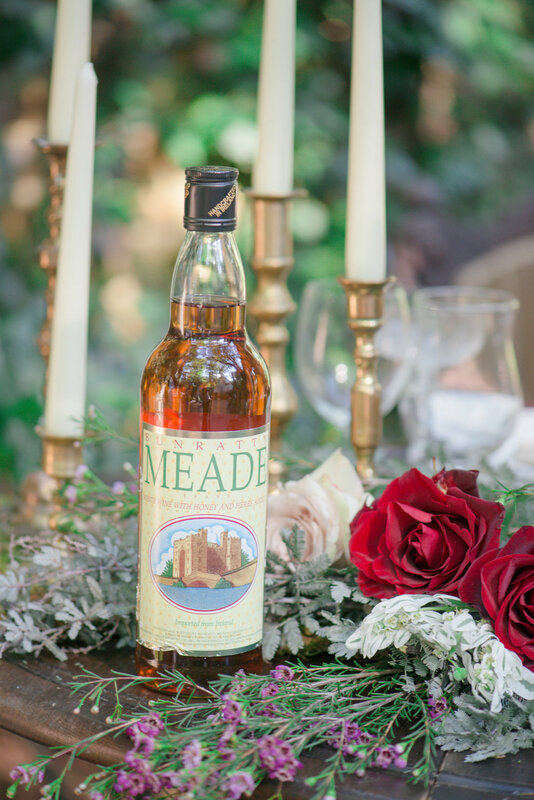 Delaney even made sure to research Celtic weddings in order to feature traditions such as the barefoot floral anklet, the grey gown, the Celtic headpiece, the mead as a toasting drink, the claddagh ring and of course, the hand fastening ceremony.